A global immigration firm leads the way. 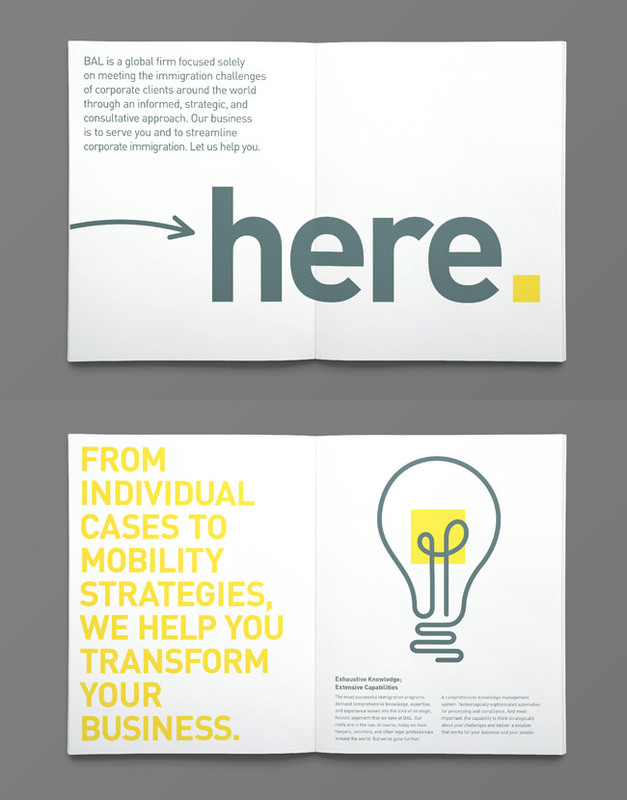 Seizing an opportunity: Rebranding a professional services firm for international growth. 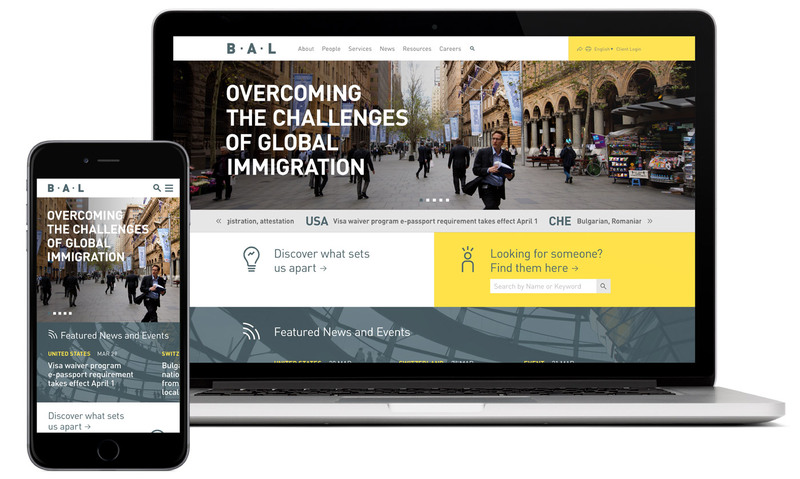 BAL, a global immigration law firm, was already a significant player in the global mobility market but wanted to further expand its market share and global reach. 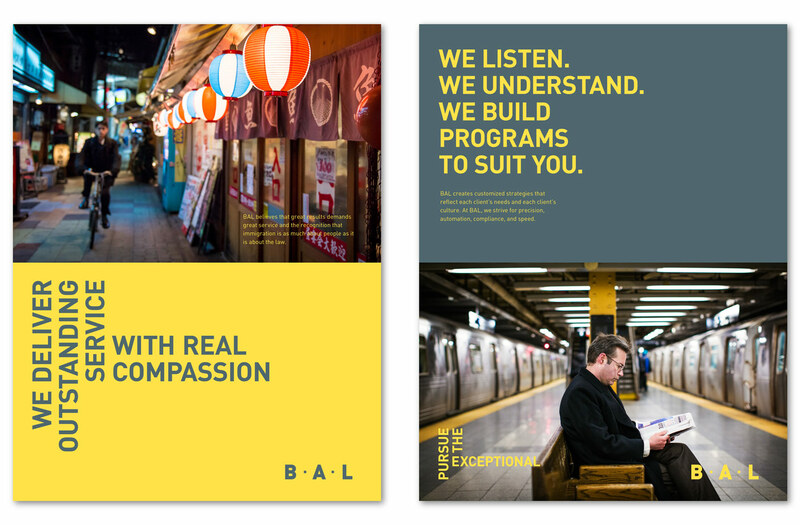 BAL came to Emotive Brand with a very strong vision, but the firm needed a stronger brand to increase visibility in the marketplace and fuel its continued expansion. 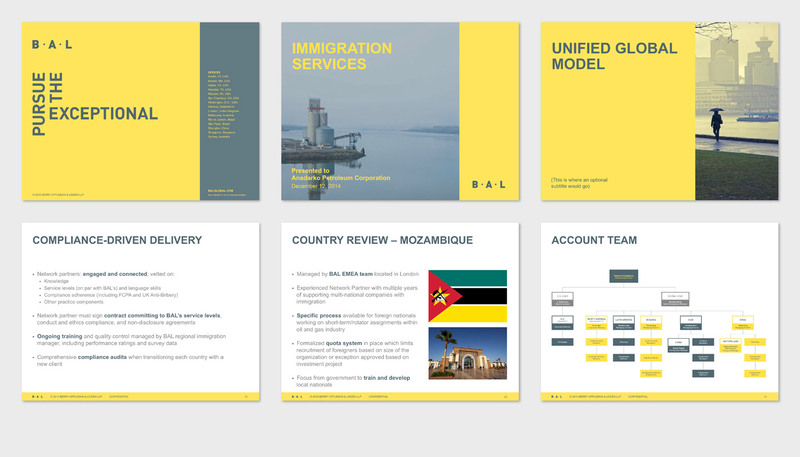 Working closely with a team of global leaders, we developed a brand strategy that was much more strategically aligned with BAL’s business vision. 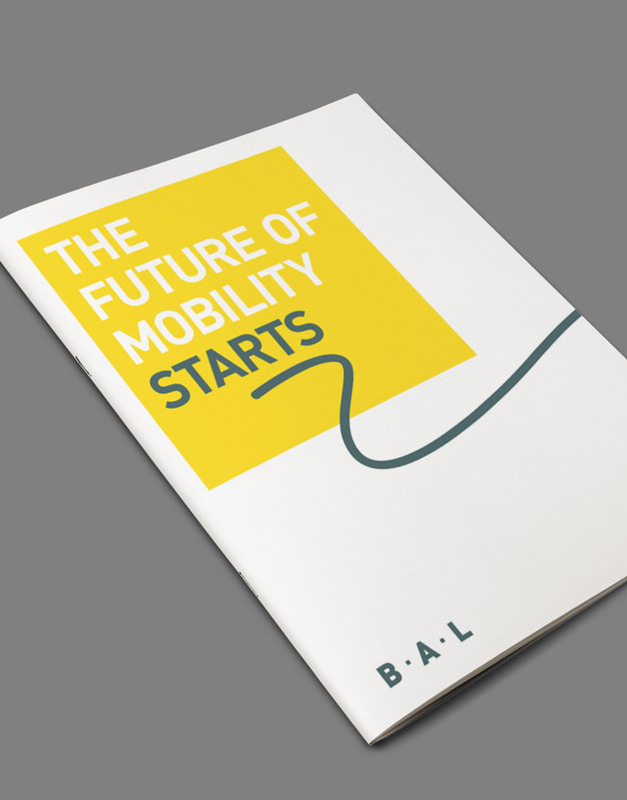 We also created new brand messaging, a corporate narrative, visual identity, marketing collateral, and website design – all in sync with the new brand strategy and all designed to differentiate BAL from its competitors. 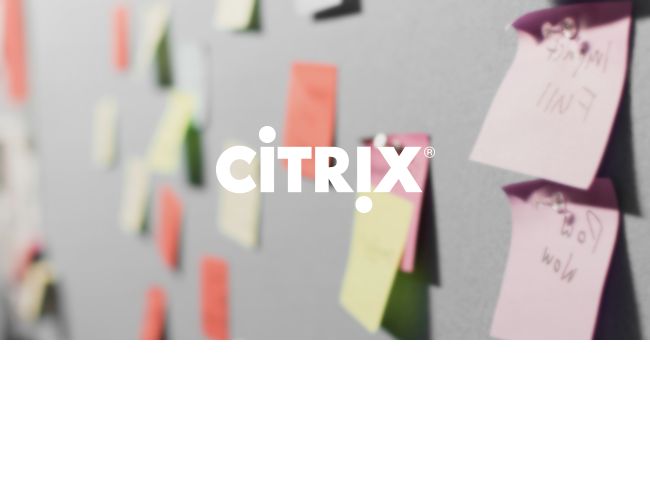 Rolling out a new global brand is no small feat. To ensure a successful launch, we created a strategic plan to prepare employees and clients for what was to come. The rollout plan was also designed to ensure the new brand was introduced in a relevant and localized way for different audiences and locations. Empower one person to lead. During the course of a project, we interact with many people, but having one person to champion the project internally is critical to success. Designating a client-side project ambassador — who acts as the final decision-maker — keeps the effort focused and moving forward. 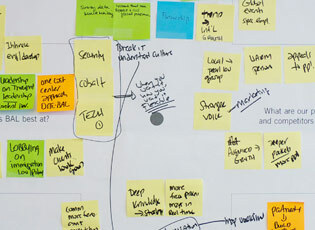 A global rebrand takes place over a long period of time and has many twists and turns. Often, you end up in a place you didn’t anticipate at the beginning of the process. 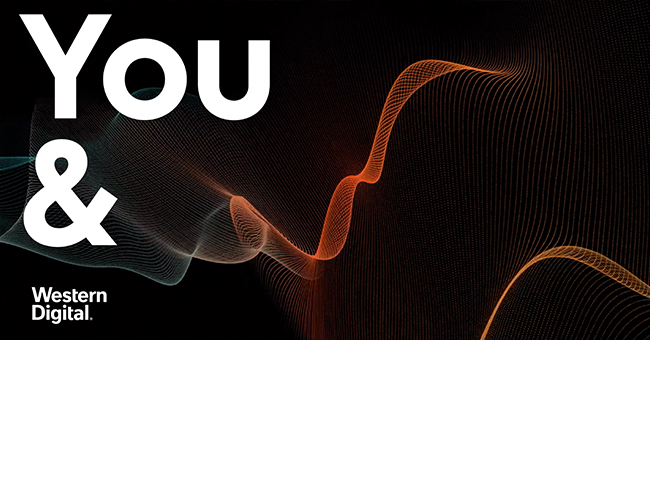 Rebranding is inevitably about discovery; it demands agility and a flexible mindset to take you where you want to go. Marketing and branding. Much more powerful together. Marketing that embraces brand strategy is exponentially more powerful. Creating a set of focused and tactical marketing tools that are inspired and driven by the brand promise activates the promise into profits. Calm in a sea of complexity. 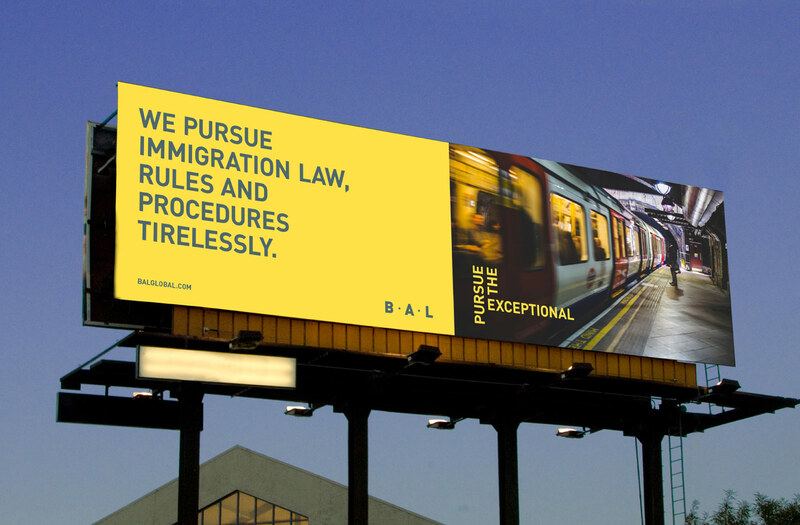 In the complex world of corporate immigration, BAL provides clarity, confidence, and understanding. BAL’s new look and feel was inspired by their emotional impact and looked to evoke specific emotions and feelings across every touchpoint. 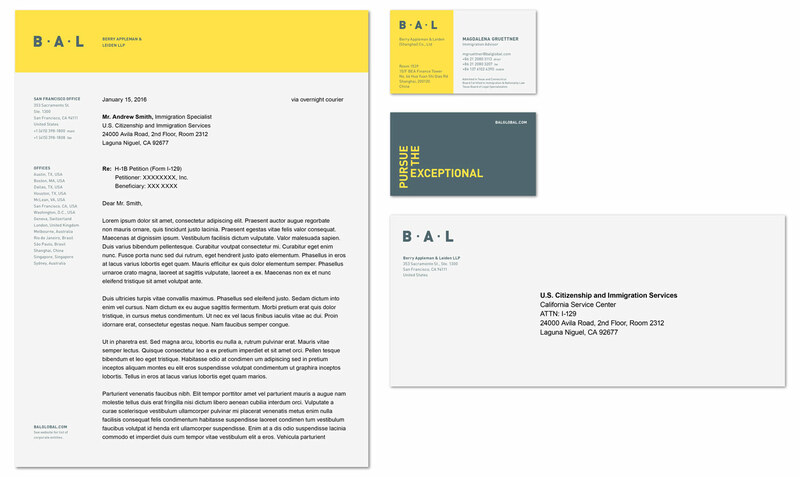 The visual identity is bold, sophisticated, and unconventional – the unique color palette, typography, and photography help BAL stand out among its competitors. BAL is on the ground. 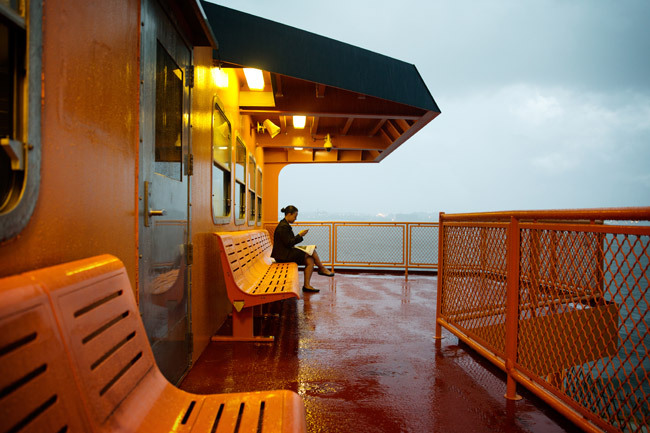 BAL’s new photographic approach showcases BAL’s global reach and understanding. They immerse themselves in the cultural, business, and economic forces shaping each country and region. The photography is authentic, not staged, and shows an on-the-ground perspective of people going to and from work, taking part in their daily routine. 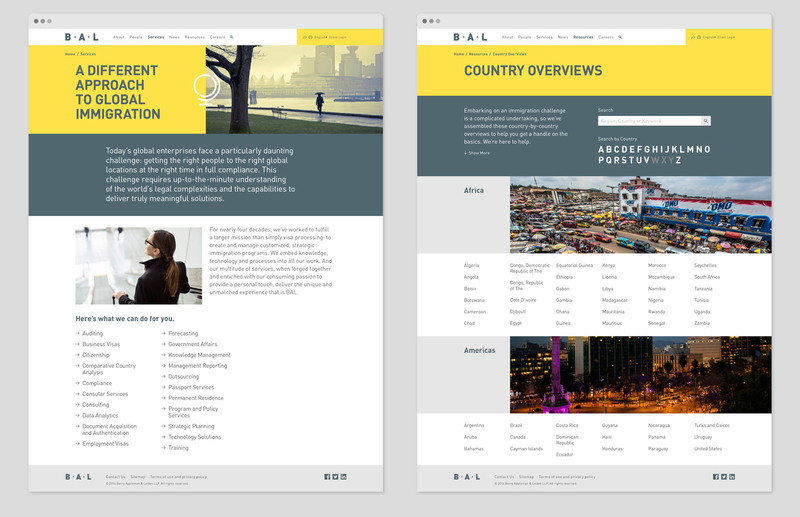 BAL’s website was redesigned as a real-time resource for all the latest news and information on immigration. We made it easy for visitors to get information quickly by creating an interactive news ticker on the homepage to share up-to-the-minute changes in global immigration policy. 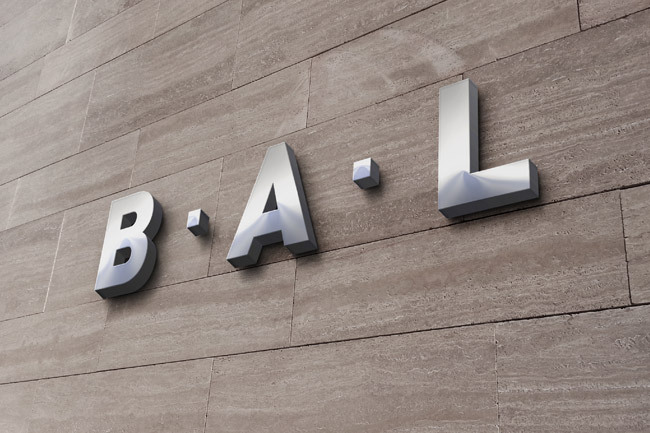 BALglobal.com is now the go-to site for clients and anyone interested in global immigration. 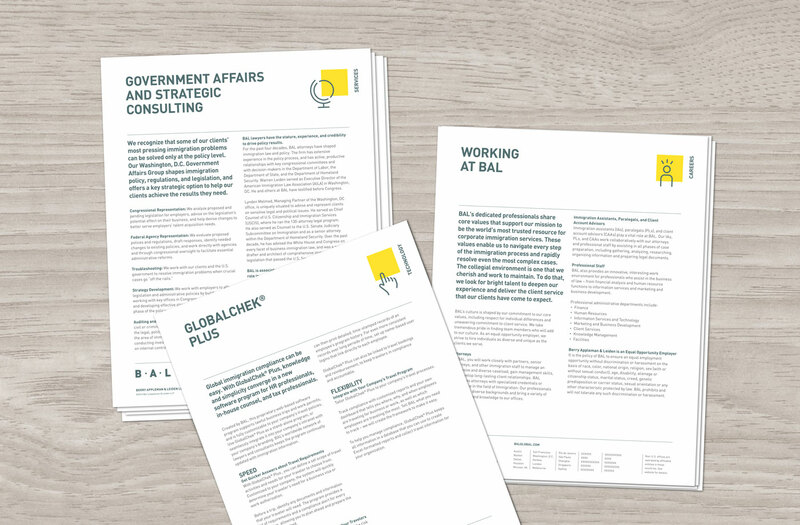 We created an illustration family for BAL that extended their visual identity. We injected the square from their logo as a playful interaction in some of the illustrations. The style for the illustrations is softer and more human to balance with the bolder typography and color palette. Positioning a global professional services firm is never clear and simple. What is true in one country might not be true in another. 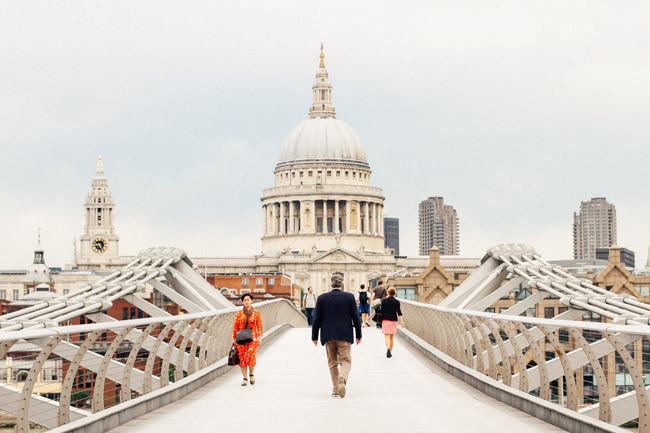 Our assessment and understanding of international legal, business and cultural practices informed our strategy so that it was truly a global strategy — one that every office could adopt and embrace. Make a promise. Keep a promise. 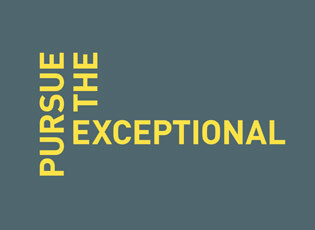 “Pursuing the Exceptional” is a bold promise to make, let alone keep. This rallying cry was critical in helping the ELT articulate their vision and motivating employees to take action. 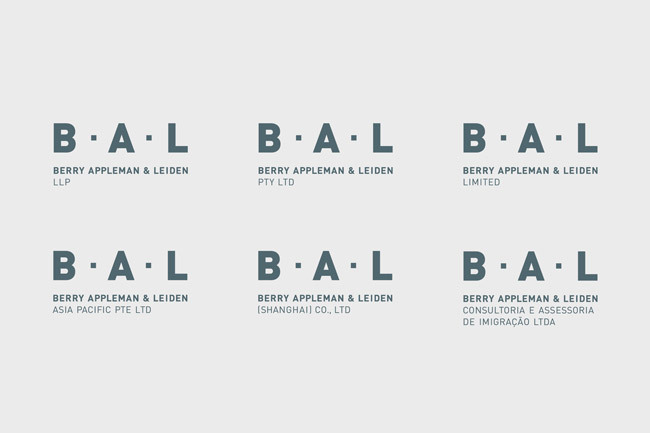 The ideal that BAL should always strive to do better and that excellence alone is not good enough helped set the bar for the brand as well as the behavior of the entire firm. When teams are spread out around the globe it is a challenge to be inclusive, collaborate, and gather feedback in real time. We piggybacked our project schedule on top of the firm’s critical meetings when global representatives would already be together. 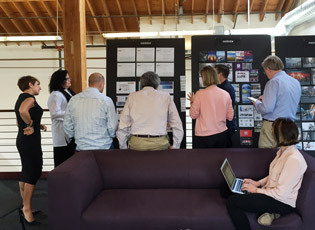 This was a great way to keep people engaged in the project and energized. Have a strategy for the strategy. Working with a global law firm is like having 200 CEOs. Whether it’s an equity partner or a managing partner, they each have a vested interest in the project and its outcomes. 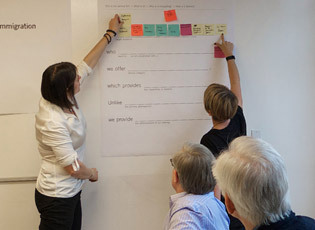 We created a strategy for managing a larger leadership team, designing specific deliverables and workshops to establish awareness, ownership and excitement around the new brand.